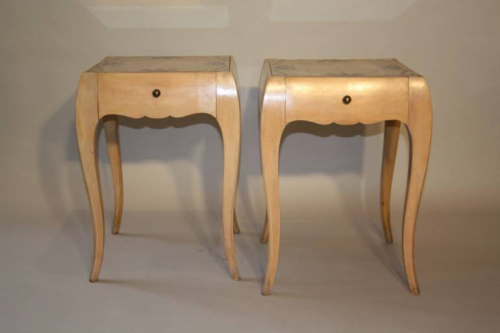 A beautiful pair of pale sycamore side tables with gilt leaf and painted mirror tops. Single drawer with circular knob. Designed by Rene Prou, France c1935.